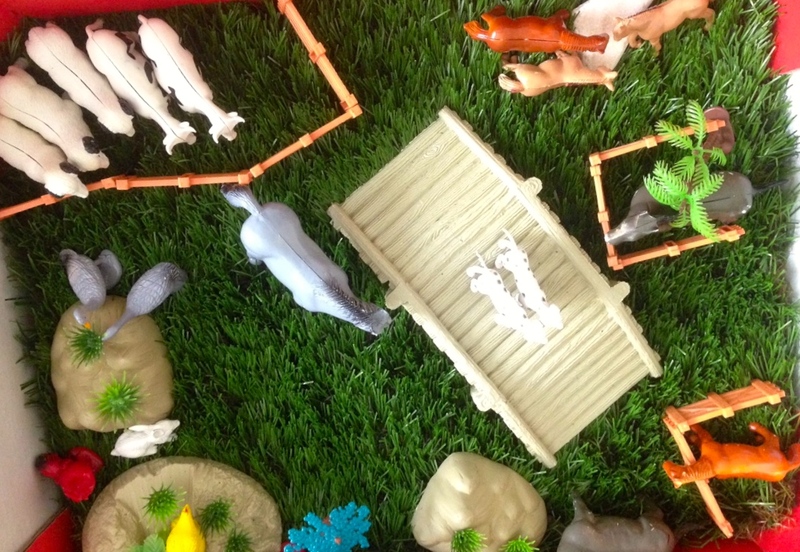 Today I had the fun of watching my son create and recreate an animal farm according to his imagination. 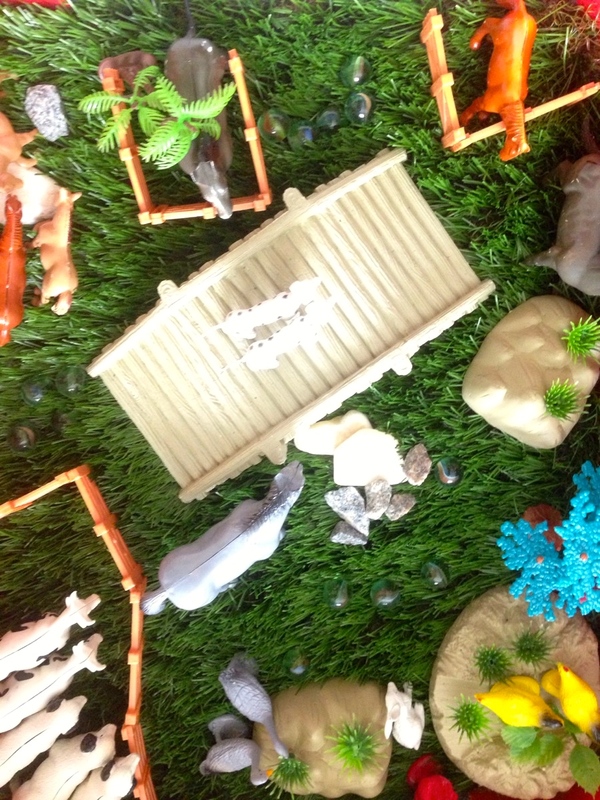 This sensory box is too simple to make! 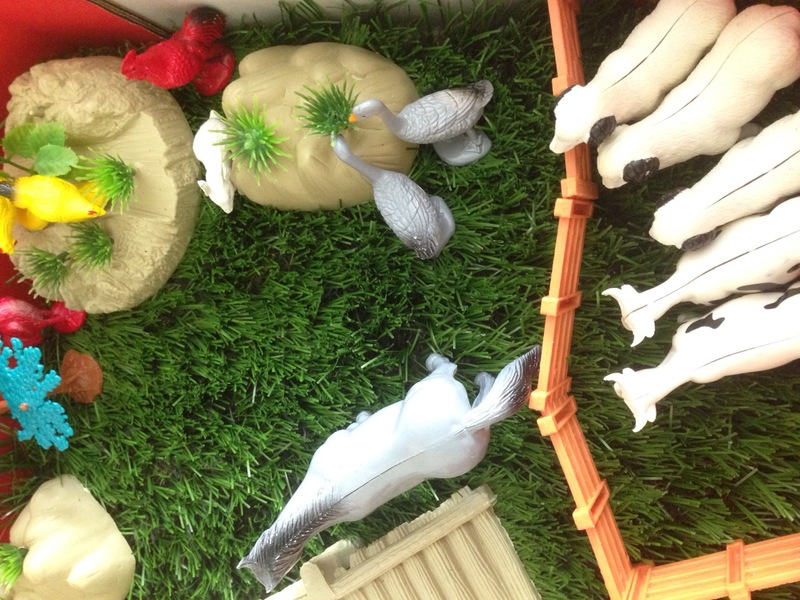 A fruit and veg box from the market, synthetic grass as base, farm animals, marbles and pebbles. A sensory box is a wonderful mat time play idea to train concentration and task persistence which contribute towards developing self control. It also teaches the child to play with his imagination as the box is a world that he can make and remake. Narrative skills including story telling, comprehension, vocabulary building can all be built into the play as the plot thickens. 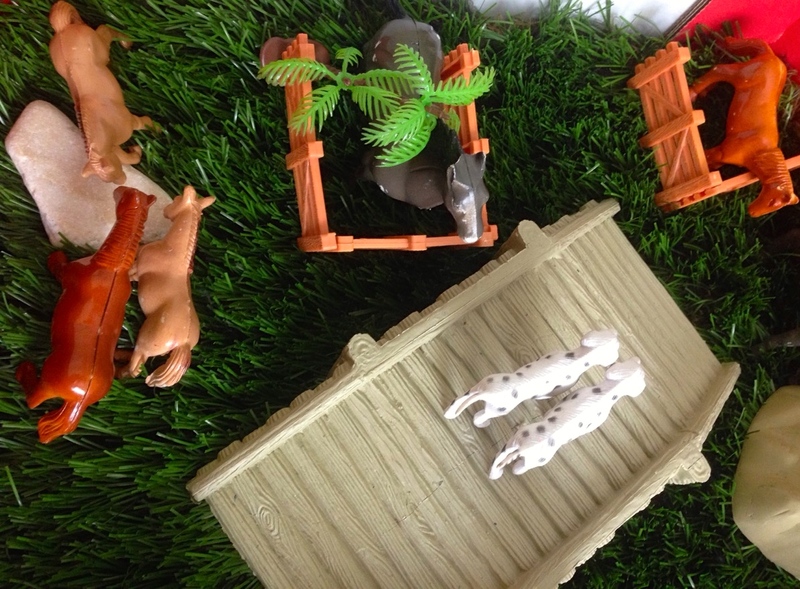 The child takes on the role of a farmer or a shepherd boy. 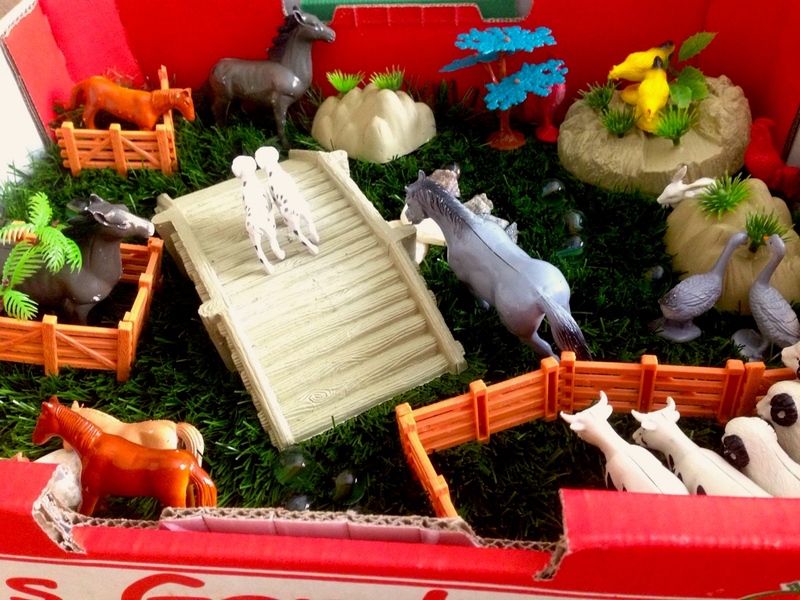 The box is also transportable and can be put away safely until the child’s curious mind takes the play to another level. 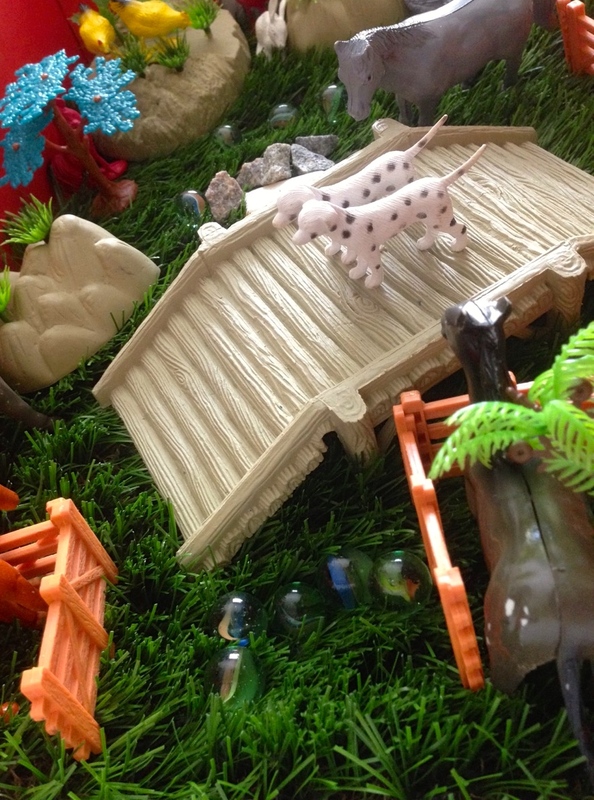 You can create a completely different setting by throwing in a different set of materials. 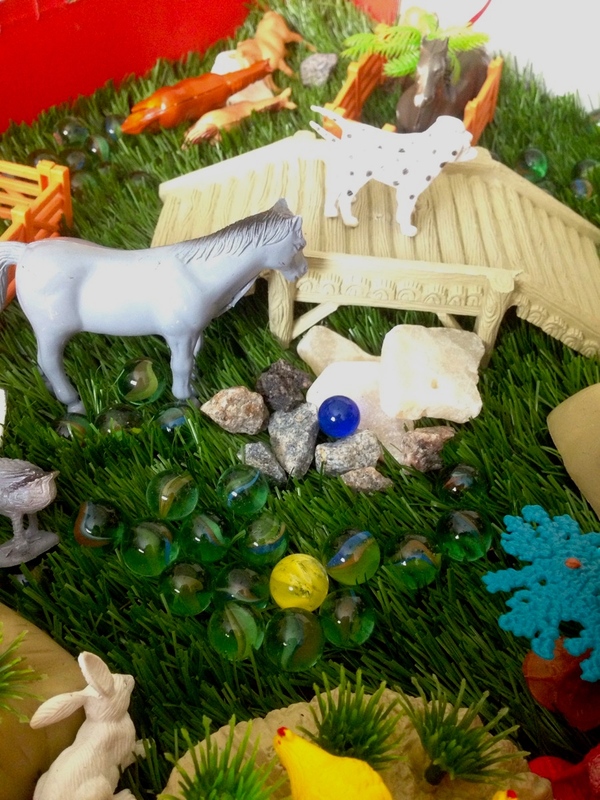 Pinterest is heaven-gift in terms of collecting ideas for sensory tubs play. The best thing today is that my boy was able to play on his own for a long time while my husband and I slept to fight off our sickness. I felt assured knowing that he was playing independently, using lots of creative imagination, practising self control, and being screen-free, all the time while his recovering parents are too weak to spend the time with him :). I love the grass! Don’t know why I’ve never thought of using that before. Where did you get it? Didn’t see your reply till now. I would love some spare! Happy to buy it off you. Would be great to put some in my nativity box next month. By the way, we have been carting around a metal drink bottle of yours for months now and keep forgetting to give it to you. Don’t forget to ask me for it at the GEMS social night.